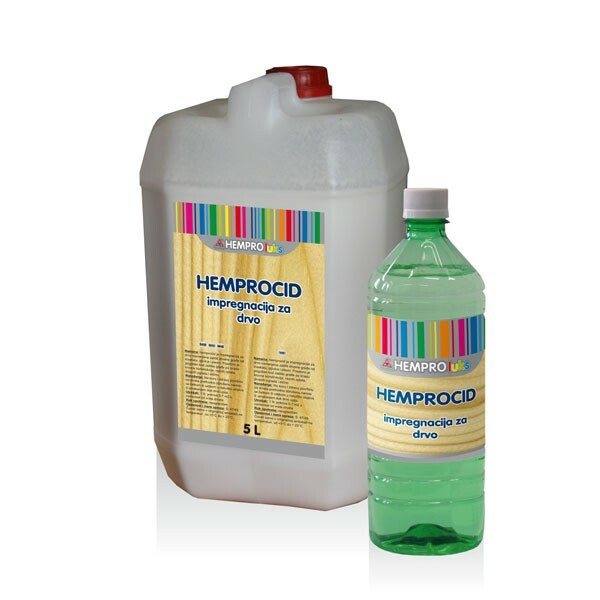 Use: Hemprocid is an impregnation for wood, intended for the protection of construction timber against insects, fungi and mildews. It is specially suitable for the protection of timber for roof structures, various moulds, wooden fences and a like. Method of application: It should be applied on a dry and sound wooden surface that was previously sanded down. It is applied with a brush, roller in a few layers, or by dipping till wood soaks. dry sanded parquet surface, from which the dust is removed. Each coat ofNo 150 and cleaning from the sanding dust is desirable. lacquer dries for 24 hours. After the first coat, sanding with the sand paper. Coverage: 1 lit. covers 5 - 7 m2 , depending on the kind of wood. Packaging: 1 lit., 5 lit., 10 lit.